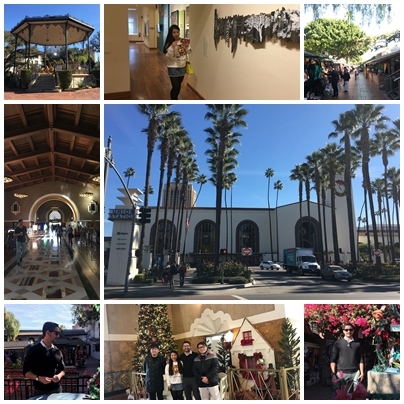 Students from NELA had the opportunity to learn much of the history and origins of Los Angeles by visiting Union Station and Plaza Olvera. They had a chance to walk through the Christmas Festive train station halls and observe as passengers cross with luggage, or stop to admire the live music. After, everyone walked across the street to see the oldest house in Los Angeles in Olvera Street. They got to learn about the rich history of the area and the diverse groups that helped make Los Angeles what it is today. The trip ended at the Chinese American museum, where everyone learned about the many contributions of Chinese Americans in Los Angeles. It was a great day filled with rich history and new experiences. 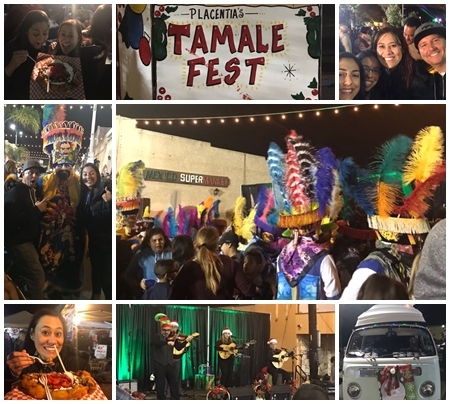 The Tamale Festival in Placentia is an annual event that local people look forward to. It's a night filled with live music, the Christmas spirit, and delicious Tamales and other kinds of Mexican food. Each year the Orange County Campus of language systems take students to experience this special night. It's always very crowded and there's no parking so we took the shuttle bus from Valencia High School. We got to enjoy some amazing music, some wonderful food, and a lot of positive vibes. For all of the students tonight it was their first time. We are so glad our students from all over the world get to experience Southern California Christmas spirit through the Tamale Festival.